I’m Lana Horan, and have been a member of The D.A.I.S.Y? Foundation since 2007. 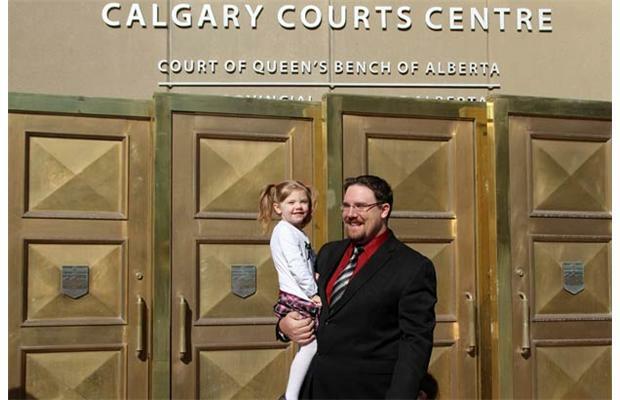 The unfortunate news is that Heather will appear in Calgary court for sentencing tomorrow, April 29, 2015 at 9 am. Due to the fact that Heather refused to return a puppy that had been surrendered to The D.A.I.S.Y? Foundation, a suddenly severely injured puppy believed by multiple vets to have been abused, Heather has been charged with obstructing a Police Officer. Due to flaws in our Property Act and a receipt that suddenly ‘appeared’ for $1 for a puppy, Heather has been charged with theft under $5,000. I am a good friend of Heather’s, and I can tell you, as you surely already know, Heather would not do anything except what she thought was right. Heather is not a dishonest person, nor a thief. 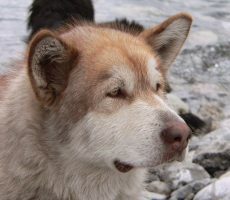 The person who surrendered the puppy hurriedly rushed off to an appointment to get financial assistance from the Red Cross for her upcoming move, promising to return to sign the surrender papers. She also stated there was no possible way she was keeping “this dog” as she said she didn’t even have enough money for a can of dog food. We all know that Heather’s conscience would not allow her to give the puppy to someone she thought would be unable to care for her, especially a special needs puppy. She does not deserve to be charged with anything. Instead, Heather should be receiving accolades for having saved this innocent 4 week old creature with a horribly shattered leg vets believed would not even be able to be saved. Heather chose to take the side of the one who could not speak for herself, the puppy. She refused to disclose her location to the Police Officer who demanded to take the puppy back, therefore the charge of obstructing a Police Officer. Sadly, Heather is now forced to defend herself against these ridiculous charges. This entails many thousands of dollars in legal fees. Not surprisingly, Heather and her most generous husband have maxed out all their credit to help others with their vet bills, food, and other animal and human needs. Heather’s friend started a GoFundMe to help with the legal fees, but only 20% has been raised so far. This saddens me because we all know that Heather would literally take the shirt off her back for any of the people on her social and personal network, yet her friend’s attempt at raising money this way has failed. This is a prime example of why we should not consider animals as property. If it weren’t for the bill of sale and that they consider animals as property, there would be no legal issue here; no wasting court time, the taxpayer’s money, Heather’s money. Period. Ted was Lorna and Ed’s son. 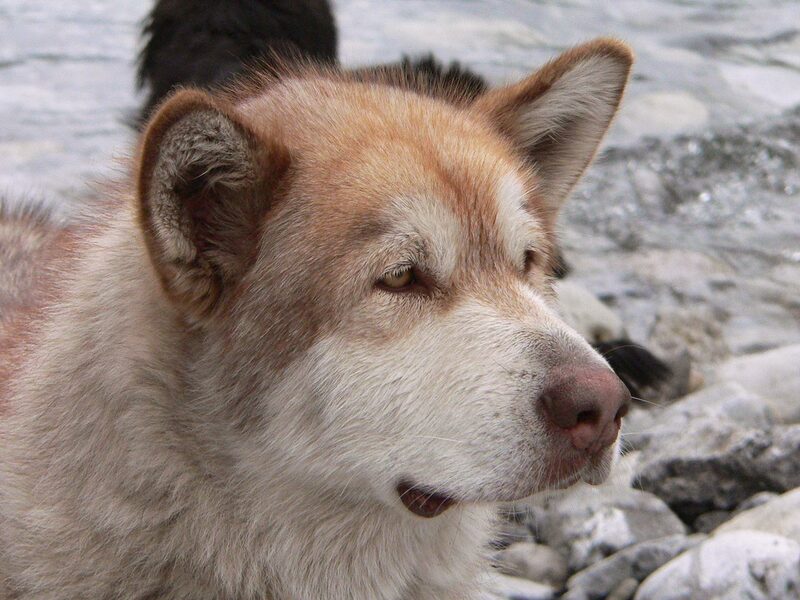 Ben was Ted’s dog. Ted adopted him from the pound after hearing about this big gentle guy from his boss. Ben had been at the pound for three weeks. They were buddies. Ted trained Ben. They played together. And together, they climbed the nearby mountains in their spare time. They were best friends. 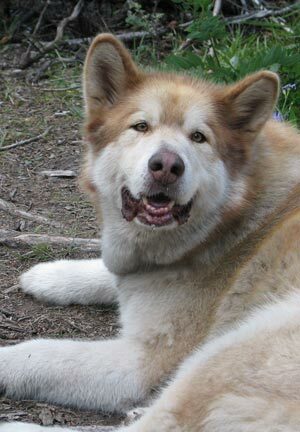 Until Ted passed away the year before Ben, succumbing to cancer. So Ben became kind of a connection to Ted for Ted’s folks. They did not hesitate to give Ben all the love that Ben gave to Ted. After all, they were family. Losing Ben — especially so needlessly, so senselessly and by such negligence as an illegal snare trap — makes the hole they already had in their hearts even larger. I guess the best you can say of the situation right now is that somewhere out there, Ted and Ben are back together and hopefully doing all the things they so loved to do together. But here on earth, this carelessness needs to be more accurately addressed. John McWilliams purposely and negligently set an illegal snare trap in a publicly accessible park that should not have been where it was. And by these actions, he killed Ben. Thirty feet from Lorna, Ben was strangled in such a way that he could not even cry out for help. At trial today in Cochrane, a slap on the wrist was handed down by the judge in this case. The stakes were a maximum fine of $100,000 and/or two years in jail plus the loss of his hunting license. But the judge fined John McWilliams $300. That illegal snare could have killed a child. An adult. WHAT would the penalty have been then? That snare should never have been where it was. 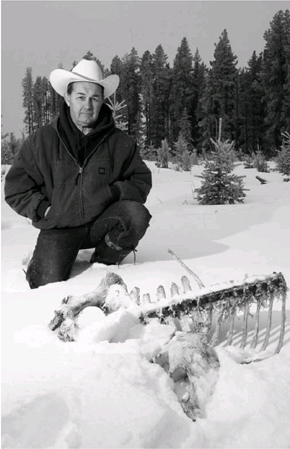 It was set weeks before hunting season went into effect by McWilliams’ own admission. Snares are not even legal in that particular recreational area per regulations. This snare could have killed Lorna as she walked Ben. And for such gross negligence, John McWilliams pays $300 and returns to trapping as he does? If this does not anger you into working for stricter penalties, I do not know what will. Ben should be alive making big holes in Lorna and Ed’s front yard. He should be there for Sarah, his dog mate. He should have never been strangled in an illegal snare in a public recreational park. My deepest sympathies to Lorna and Ed that justice was not adequately served today. I am tearfully speechless at this seeming injustice. I am so disappointed that such dangerously reckless negligence results in only a $300 fine. We MUST push for stronger punishments for our animals. Three men charged with the slaying of a wild, pregnant horse near Sundre were completely exonerated in provincial court Wednesday morning. Crown prosecutor Gord Haight told court that new information disclosed by the defence has led him to “withdraw all charges” against Jason Nixon, the general manager at Mountain Aire Lodge, as well as against Earl Anderson and Gary Cape. Charges against Nixon’s 14-year-old son, Markus, are expected to be withdrawn shortly. “I feel like an 800-pound weight has been lifted off my shoulders, but I don’t think I will ever fully recover from this travesty of justice that has been perpetrated against me and my family,” said Nixon, 30, who was running the Mustard Seed Street Ministry’s program at the lodge near Sundre, where people battling addictions and homelessness can reform their lives and learn new skills by helping to run the lodge, restaurant, campgrounds and other businesses. The new evidence revealed recently not only proves Nixon and the three co-accused are innocent of the heinous charges they were accused of, but has exposed the misconduct of the RCMP and its eagerness to believe an outrageous story dreamed up by David Goertz, a longtime crack and crystal meth addict seeking a $25,000 reward over the reputation of a law-abiding family man running a Christian ministry. “This entire episode has been a complete nightmare for me and my family,” added Nixon, who was surrounded by his extended family, including his wife Tiffany, several of his five brothers and his father, Pat Nixon, an Order of Canada recipient and the founder and former longtime president of the Mustard Seed Street Ministry, until he was recently let go from his life’s work. 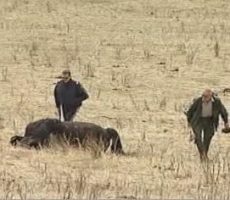 Nixon, Anderson and Cape, along with Nixon’s then 12-year-old son were charged in January 2010 with wilfully killing cattle and careless use of a firearm in connection with the death of a pregnant horse in April of 2009. The story made the front pages of newspapers across Canada and even CNN. It led to Nixon and his co-accused receiving hate messages from across North America — including death threats against Nixon’s four-year-old twins — losing his job, his home and costing him $100,000 in legal bills that every member of his family and some friends have pitched in to help pay. “And that’s just the superficial stuff,” explains Nixon. New evidence brought forward by four hunters has exonerated Nixon, his son, Markus, Anderson and Cape — two former homeless men who had sobered up and worked at the lodge for some time. One of those hunters is Justin Goodrich, 21, who along with his friends Peter, Adam and Noel came upon a dead horse lying in the middle of the road about one kilometre outside of Mountain Aire Lodge. “It was the opening weekend of bear hunting season, almost two years ago exactly,” recalls Goodrich, an industrial firefighter who was reached at his work site north of Little Smoky, 330 kilometres northwest of Edmonton. “We were driving down the hill and we saw the horse was at the bottom of the cliff. It was really fresh. It was still warm and no rigor mortis had set in,” recalls Goodrich. 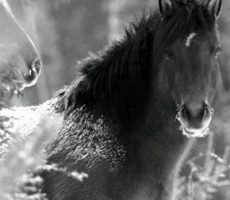 The avid outdoorsmen checked to make sure there were no bullet wounds in the horse, since there have been numerous shootings of wild horses in the area for 15 years, something The Wild Horses of Alberta Society (WHOAS) put out a $25,000 reward for, seeking information leading to a conviction in the case. 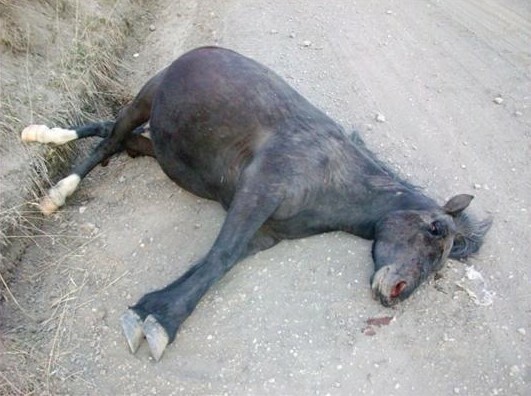 “The horse was pregnant,” said Goodrich who took a photo of the dead mare. “We think that maybe she tried to give birth, lost her footing and once you go down that cliff, there’s no going back, it’s a sheer fall. “My buddy Adam is training to be a wildlife biologist and he decided to cut it open to try to save the baby, but it was too late or the fall killed the baby,” explains Goodrich. The men then tried to move the horse off the road, but she was too heavy, so they inched her as close to the cliff wall as they could and drove off. Goodrich isn’t sure of the time, but he thinks it was about 7:30 or 8 p.m. and that it would be getting dark soon. Maybe half an hour to an hour later, Nixon, his then 12-year-old son, Markus, Anderson, Cape and David Goertz, a longtime drug addict and resident of the rehab program, were driving down the road. When they came around the corner they had to stop rather suddenly to avoid hitting the horse. Goertz, who had relapsed back into drug use and was no longer living at the Lodge, later went to the RCMP saying that he witnessed Nixon shooting the horse, a story that is now viewed clearly as a fabrication, motivated by the $25,000 reward money. “It was a really gruesome scene,” recalls Nixon, a gentle giant of a man who stands 6’8” with size 18 feet. “The insides of the horse were outside of its belly as well as a baby foal. It looked like the horse had blown up. Everyone in the vehicle recognized it would be too dangerous to leave the horse there, since there are no lights on the road and a driver might swerve to avoid the horse at the last second and drop off the far side of the narrow gravel road, which is a sheer vertical drop of about 30 metres. Nixon, Anderson and Markus, who was crying at the sight of the bloody scene, went back to the lodge to drop off the upset boy and get a Bobcat to push the horse down the cliff. Standing on the road Tuesday it’s clear that Nixon made the right choice. The road is narrow, unlit and the fall off the side is almost a completely vertical plunge. Nixon opened his front door and his home was surrounded by 10 RCMP officers from three different detachments, some with their guns drawn and some of whom he once considered close friends. Nixon was handcuffed in front of his frightened children, then just two-years-old, driven the 40 minutes to the Sundre RCMP station and charged with unlawfully killing cattle. One officer he knew quite well, whispered in his ear nodding toward RCMP officers from Didsbury and Edmonton and said, “‘if I were you I’d get a lawyer and not say a thing to these assholes.” Nixon heeded his advice. 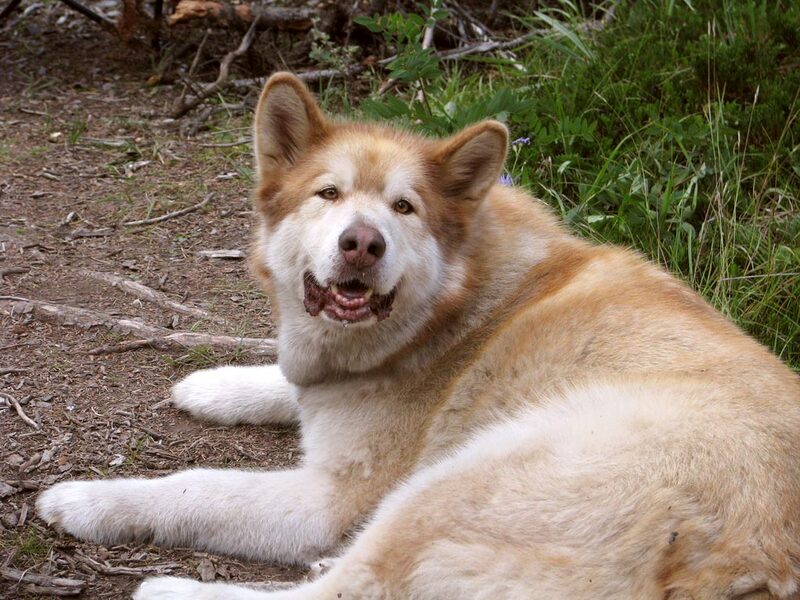 Ironically, just weeks prior to his arrest, Nixon received a letter of commendation from the RCMP for the countless times Nixon and Mountain Aire Lodge (MAL) staff helped the RCMP and the community with search and rescue, first aid and dead animal removal. “Since taking over MAL, The Mustard Seed has worked to revitalize the business, clean the property up, add services and ultimately bring tourists and further stability into the area,” wrote Sgt. Percy Leipnitz with the Sundre RCMP. “MAL staff and clients have assisted in many important operations in our region over the past few years, and have contributed to making this district a better, safer one for those who live, work and visit the Forestry Reserve …” states the letter. Nixon says not only did he lose his job running the program, but so did Anderson and Cape, new Christians who had remained sober for a long while and were doing so well. Willie deWit, Nixon’s lawyer said wrongful conviction inquiries have repeatedly shown how police get tunnel vision when they want to get a conviction at all cost. “They start eliminating anything that goes against guilt and just take into consideration things that go toward guilt. 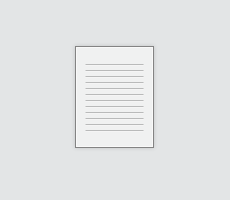 We see that all the time and they don’t seem to be learning that lesson,” said deWit. “You’d think, especially if you’ve got a person like Jason Nixon — a top-notch citizen — and then the guy against him is a crackhead that’s come forward to collect a reward, I mean, geez, right then you’d think the police would say, ‘hey, wait a minute,’” said deWit. Going into debt, having his reputation destroyed, having the ministry he built shut down, shattering Markus’ trust of police, losing his home and his job are not all the Nixon’s have lost. “It’s deeper,” says Nixon. “Emotionally, I was a very trusting person prior to this, now I have troubles trusting outside of my family group. I used to view police very favourably, now I fear them. “I feel humiliated. There were months where I didn’t feel I could walk around in town. Markus was teased in school. But through it all, Nixon forgives Goertz and the others who have treated him so badly. On Good Friday he reflected on how his Lord, Jesus Christ was betrayed, wrongly accused, and crucified for the sins of others. “I feel very betrayed and hurt by David (Goertz),” says Nixon. “I really showed him a lot of love, but that’s what addiction does. 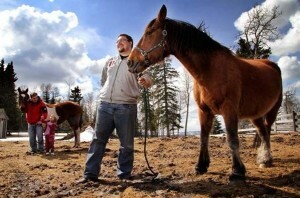 It’s so destructive,” he adds as he rubs the nose of his horse, Tank, on his rented acreage near Sundre. 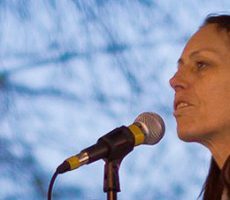 Licia Corbella is a columnist and editorial page editor. CALGARY — Three men accused of wrongfully shooting a pregnant wild horse near Sundre, Alta., two years ago felt vindicated Wednesday when the Crown dropped the charges in Calgary provincial court. New evidence showed the mare never was shot, but likely died giving birth or in an accident, and was found dead on the side of the road — about 130 kilometres north of Calgary — by the three men: Jason Nixon, Gary Cape and Earl Anderson. Nixon said the evidence the defence provided recently to the Crown prompted the RCMP to reinvestigate. As a result of that, he said, they didn’t think charges were warranted anymore. Nixon said that nine months later, police surrounded his home and put him in jail. A youth also faces a similar charge, but it is expected the same thing will happen there. Crown prosecutor Gord Haight would not elaborate on any of the evidence that prompted him to stay the charges. The three men had been scheduled for trial earlier this month, but it was adjourned when the defence revealed the new evidence. “What happened was they came across a horse that either died in childbirth or had fallen off a hill there,” said Willie deWit, Nixon’s lawyer. He added it was several months before the horse was found and it was hard to make any determination what happened. That’s how one of the letters we received started. But their last trip in late November, 2010 was painfully different. They loaded Ben and Sarah into the truck and drove out to Powerface. Even though Ed, for health reasons, could not make the walk, he still went with them and waited in the truck. Once there, Lorna headed off with the two dogs. Shortly into their walk Ben scampered off while Lorna broke the snowballs from between the pads on Sarah’s feet. Lorna called him, but he did not come. Much unlike the big guy. So she whistled and called some more. Nothing. She walked further down the valley. There was no sign of him, no barking, no movement… nothing. Without a sound, he had just vanished. Darkness was starting to fall, so Lorna and Ed decided they would have to come back the next day for Ben. Returning the next day after hanging signs and talking to people about Ben, Lorna followed Ben’s tracks into the woods. She did not get very far before she found him. Dead. Strangled in a snare trap. Accidents happen and a dog is surely no match for a snare… but this wasn’t an accident. Ben’s death was the result of a decision trapper John McWilliams made to set his snare traps before the legal date to do so in an area where snare traps are not permitted. In other words, that trap should never have even been there. And Ben should not have died. Period. Ben’s death was a result of a reckless decision. Not an accident. At the first trial in February, McWilliams asked that the trial be remanded. In March, neither McWilliams nor his attorney appeared. The next trial is scheduled for May 6 in Cochrane. The charge as I understand it is hunting out-of-season which could cause McWilliams to lose his hunting license. But he was trapping, not hunting. Why would he not lose his trapping license for acting with such negligence? He set a snare trap in a recreational area that was still open to the public; an area where snare traps are not even permitted. 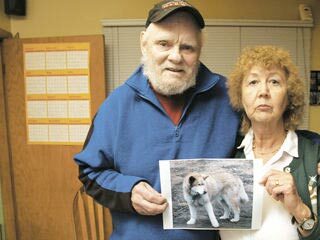 Ed and Lorna will be back in court in Cochrane on May 6 as this case again comes to trial. Members of the DAISY Foundation will be there in support because Ben’s death should not just quietly go away. McWilliams needs to be held responsible for his alleged actions to the fullest extent possible. By his actions, he took Ben away from Lorna and Ed. 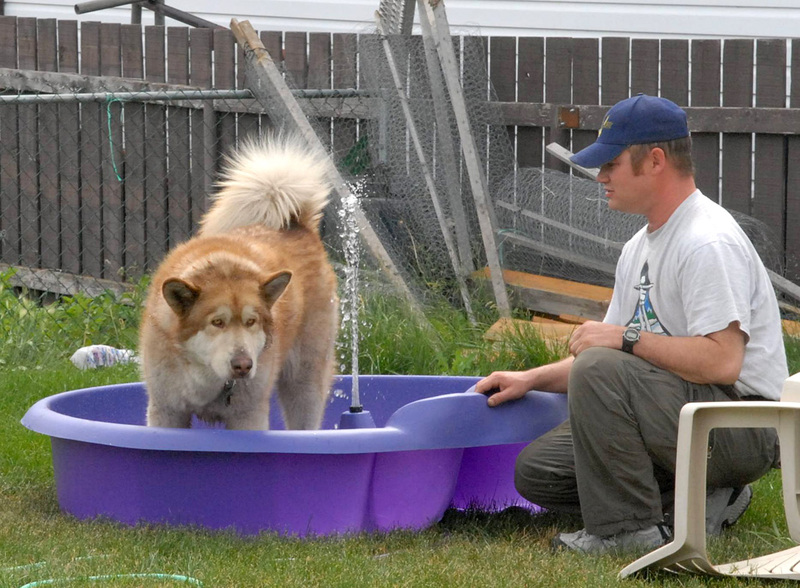 By not following trapping regulations, he put other animals, pets and people at risk. The maximum penalty is a fine of $100,000 and/or a 2 year jail sentence. 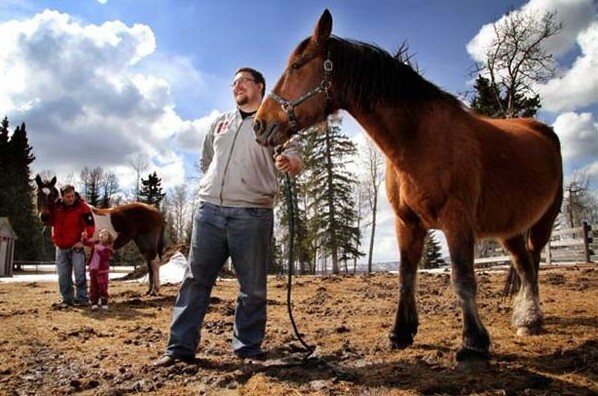 CALGARY — One of three men accused of illegally shooting a feral horse near Sundre in 2009 said Monday he’s confident he will be exonerated. Nixon, 30, Gary Cape, 36, and Earl Anderson, 41, each face charges of wilfully killing a horse and careless use of a firearm. The three men, along with a youth who cannot be named, were charged early last year after the feral horse was shot near Sundre. about 140 kilometres northwest of Calgary. All three men previously entered not guilty pleas to the charges in Didsbury provincial court. 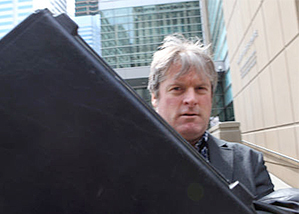 The scheduled four-day trial for the three men was later moved to Calgary. Provincial court Judge Cheryl Daniel agreed to adjourn the trial for the day after the three men’s lawyers and Crown prosecutor Gord Haight discussed new disclosure that was recently turned over from the RCMP. The case will go more efficiently if there is a brief adjournment, Don MacLeod, lawyer for Anderson, said outside court. “This results from late disclosure to the Crown, then in turn to all defence counsel,” said MacLeod. “That gave rise to some issues about further disclosure that we all wanted to have a look at before we cross-examine witnesses in the case. MacLeod said in dealing with other issues, it was also determined there was a gap in photographic evidence relating to the scene in general that all counsel felt would be of great assistance to the court in what happens in the case. The lawyer, however, said as the case is before the courts he could not elaborate on any of the issues or evidence. The case, he expects, should proceed on Tuesday. Previously, Nixon’s lawyer, Willie deWit, said he believes his client has a viable defence to the charges, but declined to say what his strategy at trial would be. “There’s a lot more to the story than has come out so far,” said deWit. A 14-year-old boy, who cannot be named, is facing the same two Criminal Code charges as the adults. He also pleaded not guilty to the same charges. Nixon and Anderson have ties to the Mustard Seed Street Ministry, which operates the Mountain Aire Lodge facility west of Sundre. The lodge provides outreach to formerly homeless men and women. 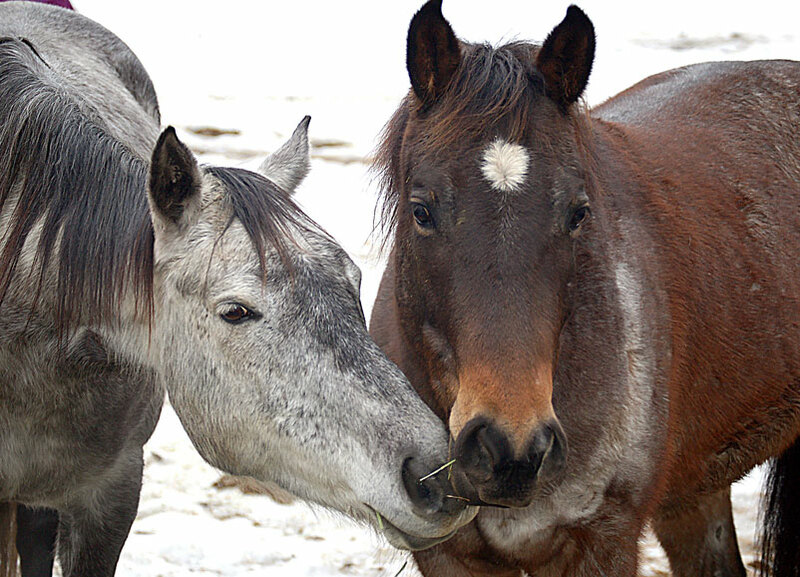 RCMP have been investigating the deaths of at least 13 wild horses around Sundre since 2007. You could see a blood trail. [The horse] was upside down with his head wedged between two trees. Chuck Kollin had come to courtroom 1405 in Calgary on Monday morning just looking, he says, to finish what he’d started. 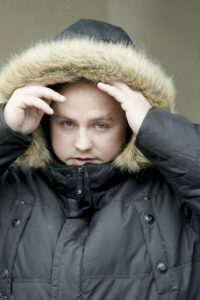 He had planted himself quietly, anonymously — he thought — among the spectators for a trial of three men accused of being heartless killers whose alleged crime had shocked the province. Mr. Kollin figured he’d just be a fly on the wall. Mr. Kollin was wrong. He was spotted from the start. 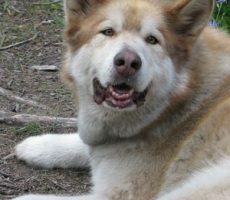 The RCMP officer investigating the case saw him. The defence lawyer wanted to talk to him. The trial was stopped before it began. This changed everything, the attorneys told Judge Cheryl Daniel.This was the man who had first tipped police to the information that had led to the arrest of these three men, along with a 13 year-old boy. Mr. Kollin says he was told, through hearsay that hasn’t been proven in court, that the boy cried after the killings, and was told to shrug it off. This was, the boy was reportedly told, no different than killing gophers. But this was different. 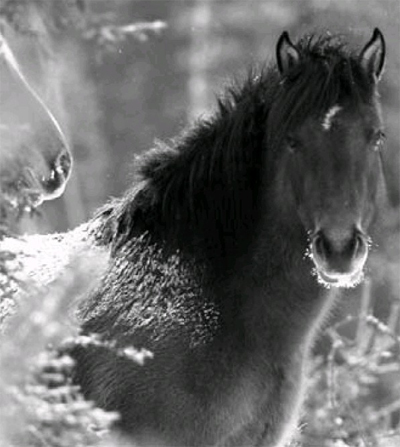 These were Alberta’s iconic wild horses. A lot of Albertans are proud of their wild horse herds; romantic about them, even if no one’s certain where they came from. The Wild Horses of Alberta Society (WHOAS) suspects they’re the descendants of mustangs sailed to the new world by Spanish conquistadors and brought north by Blackfoot Indians. The government’s position is that they likely just escaped from ranches and farms over generations. Either way, when they started turning up shot, left to die brutal, agonizing deaths near the side of the highway, a lot of Albertans were as outraged as they were heartbroken. It didn’t matter that, legally, the province considers wild horses no more valuable than cattle. They can be captured, legally, with permission, and sold to slaughter. Alberta grants about 20 such permits a year, one reason why WHOAS estimates that the number of feral horses has fallen from 1,000 in the mid1980s to an estimated 200 or 300 today. The other is that someone has been shooting them, illegally. About 30 were picked off between 2001 and 2009. They likely weren’t all connected, says Bob Henderson, president of WHOAS. The horses aren’t universally popular: The odd shooting may be some farmer or rancher cranky over them eating up grazing land meant for cattle. But as a retired police officer, he thinks the 13 killed near Sundre, Alta., between 2007 and 2009 are linked. In 2009, Crime Stoppers reenacted the shootings hoping to generate leads. 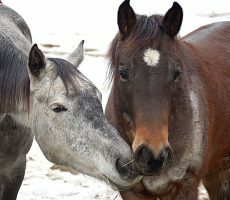 The wild horses society also put out a reward, which, with the help of private donors, grew to nearly $29,000. 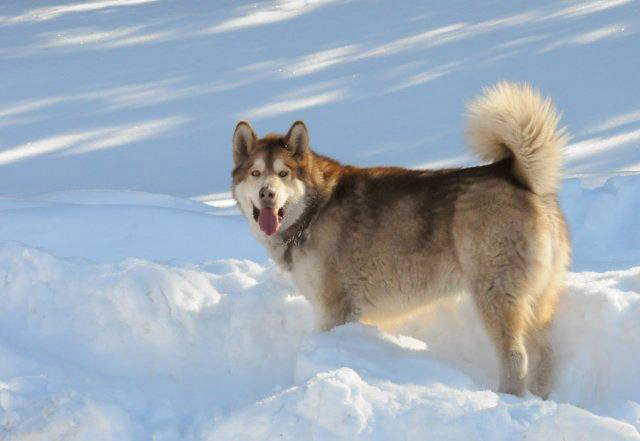 Last January, RCMP announced a break in the case, charging three men, along with the boy. One of the accused was Jason Nixon. This ramped up the story’s local shock value. Jason is the son of Pat Nixon, the founder of Calgary’s Mustard Seed ministry, one of the city’s most celebrated homeless outreach programs. The Mustard Seed runs the Mountain-Aire lodge near Sundre, a retreat for people battling addictions, where recovery involves pitching in at the local businesses run by the lodge, including a restaurant and campground, and providing security and firewood to some of the other neighbouring resorts and ranches, set in the picturesque shadow of the Rockies. Jason Nixon was the lodge’s general manager. He’s also been charged with assault, uttering threats and obstruction of a peace officer. One of the other men accused is his employee. And yet the horse deaths, including the one his son is charged with, along with Earl Anderson, Gary Cape and the boy, were gruesome. Some of the mares were pregnant. One mustang, paralyzed by a bullet through the neck, took so long to die it left a silhouette of its body heat melted in the snow. 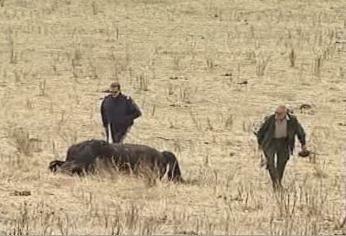 One shooter dragged the body of a foal and laid it next to the body of its mother. A group of ladies sporting shirts demanding better laws protecting Alberta’s wild horses showed up at court Monday to watch these men tried for killing a single pregnant mare in 2009 — a crime carrying a maximum sentence of five years. Mr. Henderson was there too, as were a few dapper rancher types, in blue jeans, bolo ties and blazers, doffing cowboy hats as they entered the courtroom. None of them would be here, Chuck Kollin believes, if not for him. He’d worked at the Mountain-Aire Lodge in 2008, from the B.C. coast, hired to do some construction and maintenance work. But the following year, visiting Calgary, using the casual labour office at a local dropin shelter, he ran into Dave Goertz, whom he recognized from the Mountain-Aire. Mr. Goertz told him he’d been there one day in 2009 when some guys had gone out shooting horses. He had seen them do it, he told Mr. Kollin. He told him about the crying boy. Mr. Kollin checked the Internet. He read, for the first time, about the shooting investigation. He learned of the reward. He urged Mr. Goertz to go to the police. Then he called them up himself. Mr. Kollin says part of his motivation was money: He planned, he says, to use the reward for a mission to Albania, to help deliver clothes and crop seeds there. But he also wanted justice done. He spent “weeks,” he says, helping RCMP track down Mr. Goertz, who had no fixed address. He spent plenty of his own funds in the process. “It became my full-time job,” he says. He thinks he deserves the reward, but hasn’t seen a dime yet. Mr. Henderson insists that it’s payable only upon a conviction. When Mr. Kollin showed up on Monday, he suddenly found himself the centre of attention at a trial full enough already with interesting characters and twists. Defence lawyers halted the proceedings and asked to add him as a witness. Mr. Kollin is stunned. He’s still waiting for a reward he believes he deserves. He didn’t plan to be part of this trial. He’s not eager to testify — his doctors told him to avoid stress while he awaits heart surgery next month — and definitely not for the accused. “Why would I want to support the defence?” he says. He had thought he had bused in from the coast to quietly witness the end of “something I started” — to see the mystery of the wild horse shootings unravelled; to see justice served; to finally collect his reward. Now, he’s not sure what will happen. Now, he says, he wishes he’d stayed home.